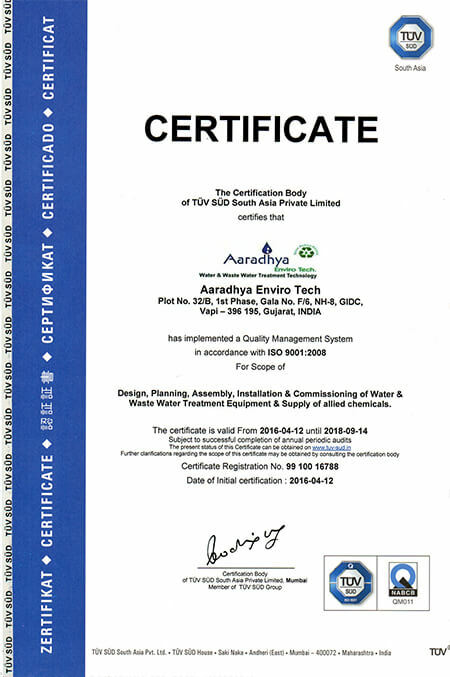 AARADHYA ENVIROTECH specializes in the design, construction and installation of complete Waste Water Treatment Plants & RO, for a wide range of industry sectors from beverage and food to sewage and waste water. 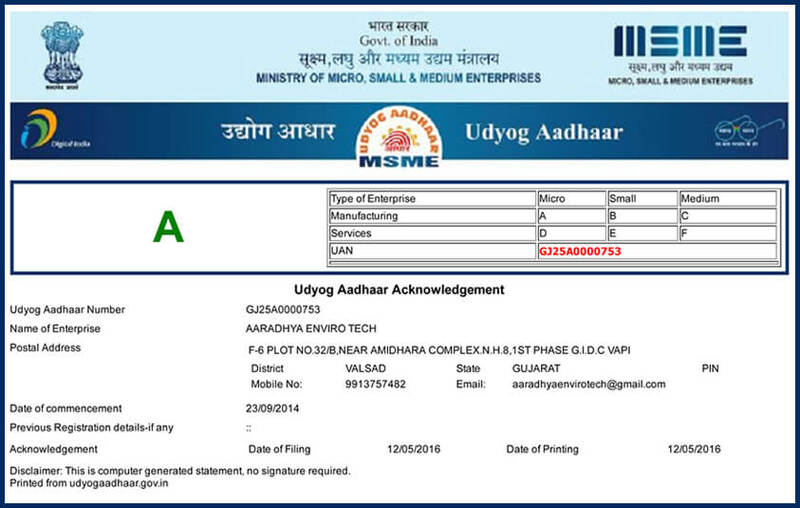 We can give you the Complete Solution in development of Existing Process and to develop a New Process. We handle Complete Project from Basic Engineering Design to Testing, Commissioning of Plant & have Specialization in Biological Treatment. We also accept responsibility for Total Plant Erection. We can Design, Build, and if required operate & maintain under contract, turnkey Effluent Treatment Plants (ETP), Sewage Treatment Plants (STP), Water Treatment Plants (WTP) & Reverse Osmosis Plants (RO). With our many years of combined experience gained in technologies such as - screening, pumping, pipe work, storage, mixing, aeration, chemical treatment, biological treatment, dosing, settling, clarifiers, dewatering, filtration, UV, Ozone, reverse osmosis (RO), Dissolved air floatation (DAF), process instrumentation monitoring and control you can be certain of a clear solution to your effluent treatment needs. Our solutions are based on Unique Technologies, combining Membrane Filtration, Sophisticated control and Monitoring, Advanced Oxidation Processes and unique environmental friendly water and waste water chemical treatment. 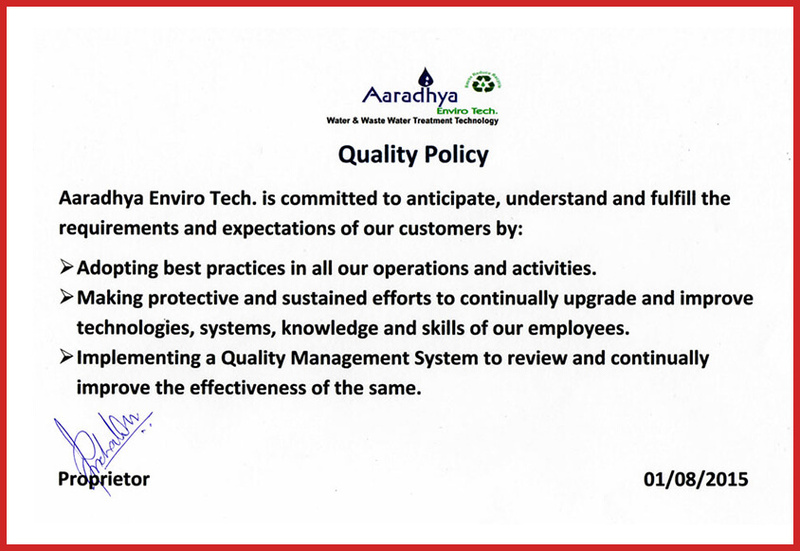 It is our Endeavour to preserve the environment by not only treating the effluent and rendering it environment-friendly but also reusing waste-water and reducing discharge volume as much as practicable by adopting the latest developments in water & waste water treatment technology. AETs Mission were and are always to save water, to protect water resources, enable recycling and re-using.